Amidst an ever-increasing background of displacement and Ellis Act evictions of lower income households in San Francisco, the San Francisco Community Land Trust (Land Trust) has prevented the displacement of 14 low-income residents in the Mission District buy purchasing the building before it sold on the private market. 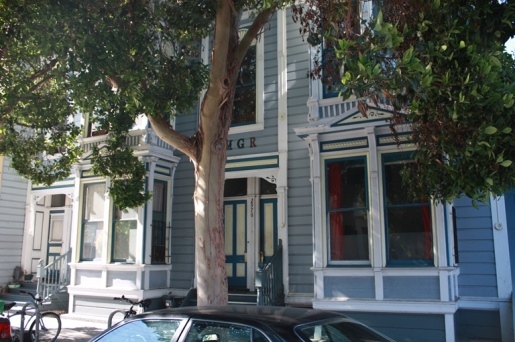 On June 12, residents of 2976 23rd Street joined Supervisor David Campos, prominent housing advocates, and their former landlord to announce the sale of their building to the Land Trust. The Land Trust works to create permanently affordable, cooperative housing as a solution to San Francisco’s affordability crisis. This sale preserves 14 units of low-cost, shared housing that were at risk of eviction when the sellers decided to sell the building and listed it on the market for sale at $1,780,000. Residents approached the Land Trust about purchasing the property, and also asked the Sellers if they would work with the Land Trust. The Sellers were empathetic to the residents considering the rash of evictions, and had already received interest from an investor who wanted to change the use of the property through Ellis Act Eviction. The Land Trust will now help the residents to form a housing cooperative through which they will operate and control the building, while the Land Trust maintains ownership of title to the land. Acquisition financing was provided by Boston Private Bank & Trust and a carry-back loan from the Sellers. The Land Trust plans to apply to the City’s new Small Site Acquisition Program this year to repay the seller’s loan, provide minor renovations and ensure the rents remain affordable. The acquisition-rehab strategy can be more cost-effective than building new affordable homes in San Francisco, and yields greater socio-economic benefits by preserving the existing social-economic fabric of the neighborhood. The successful acquisition of this small building reflects a new strategy that can be used by community organizations to preserve existing affordable, rental housing in a competitive real estate market. In addition to rehabilitating and stabilizing the property, SFCLT will offer its financial education program to the residents to help them build their financial assets through savings, credit counseling, and debt management. SFCLT’s education program is funded by a Community Development Block Grant (CDBG) from the Mayor’s Office of Housing, The San Francisco Foundation and the Levi Strauss Foundation. With the real estate market heating up in San Francisco, existing rent-controlled, affordable apartments are at risk of losing their affordability due to various market forces. When a long-term tenant moves out, the rent can be adjusted to market rate. Rents for a one-bedroom apartment start at $1800/month, which is not affordable to any household earning less than 80% of San Francisco’s median income. This may be good for an investor, but it’s not good for the community, especially when only 38% of San Francisco residents can afford homeownership and 62% depend on rental housing. Additionally, Ellis Act evictions by investors who want to re-sell the units as Tenants-in-Common (TIC) units displace long-term residents, many of whom are low-income and will not be able to find alternative affordable housing in the community. According to Rent Board data, 1,977 eviction notices were filed between March 2013 and March 2014, nearing the record high in 2002, when 2,101 evictions were filed. Ellis Act evictions nearly doubled, from 116 to 216, about 11 percent of all evictions.